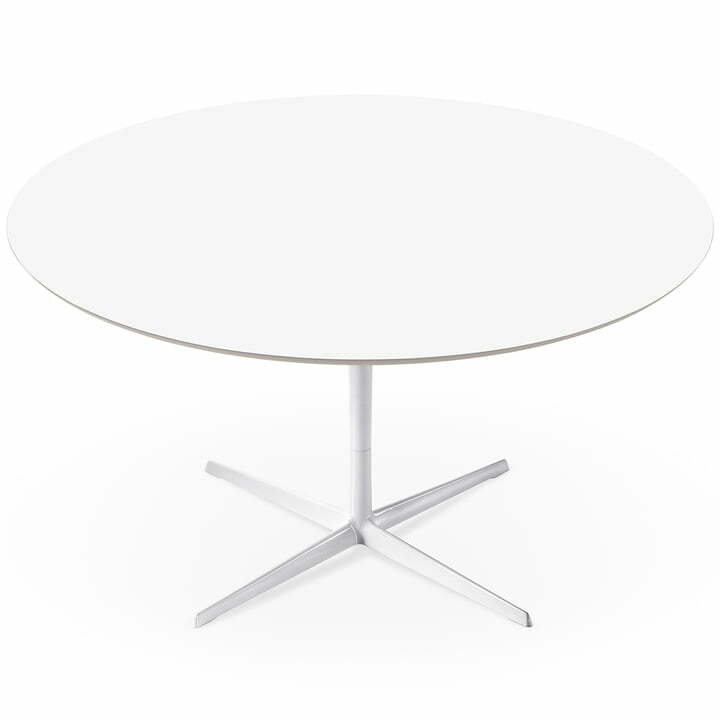 Eolo by Arper is a versatile table, which can be used freely with tabletops in different sizes and finishes, both in living areas as a dining table or as a generously sized conference table in the office. The Eolo table offers various configuration options with its discreet design, with the table being available in two different heights (35 and 74cm) and with a round or oval-shaped tabletop. 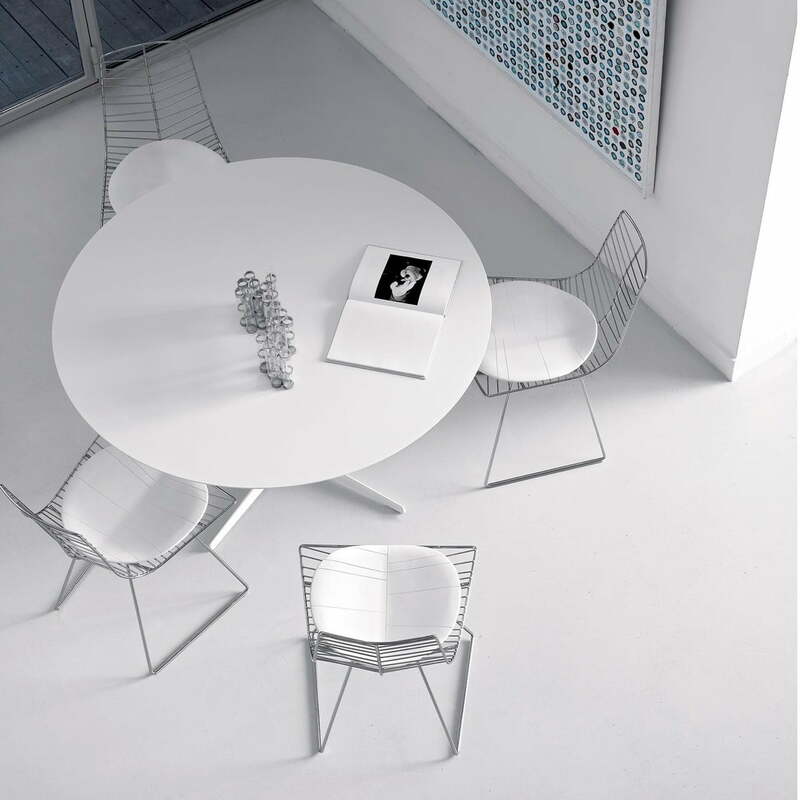 The four-way base frame made of painted aluminium makes the table not only seem very elegant, but also provides sufficient free space so that chairs can be arranged as needed. The timeless design of the Arper table can be combined freely with different seating that either underlines the purist design of the table or represents a skilful mix of styles with different materials and colours.